I have finished painting them and, using my new light box, I’ve taken some pictures to share with you lovely lot. With any luck I’ll get a chance to actually play the game again soon! 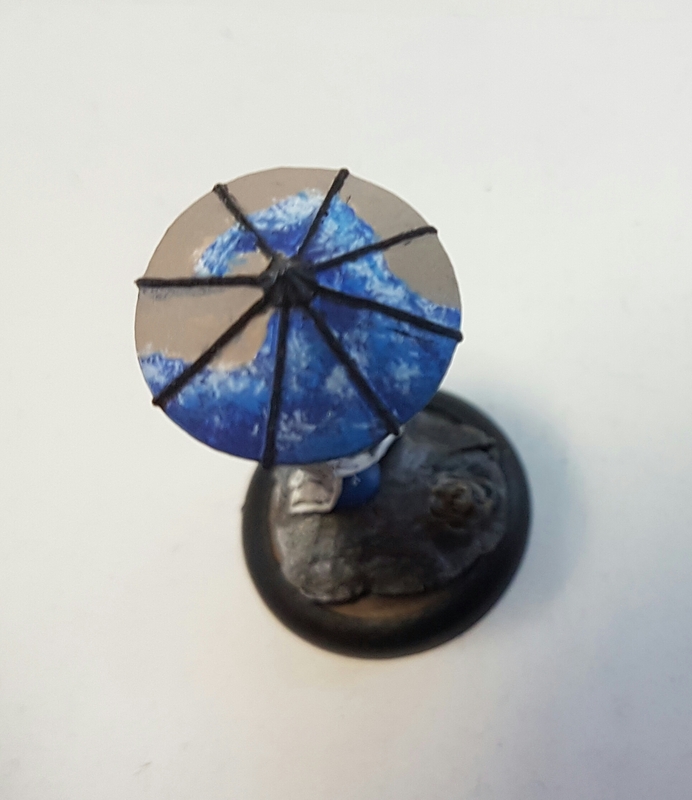 The models were great to paint. Loads of lovely detail with very little prep needed. The guys and girls at GCT studios clearly know their stuff when it comes to sculpting and producing models! They are made of metal rather than plastic or resin and normally this is a bad thing from my point of view, often a metal model has to be much chunkier than a plastic equivalent and so you use some detail and all weapon handles end up looking like scaffolding poles being held by toddlers, but these sculpts are so detailed and delicate they could easily be plastics. I tried out something a bit new with the painting: I wanted the flesh of the gang to look necrotic, not so much the bodies of those who had died in the last hour nor rotting corpses dug up from the grave months after their internment; somewhere in-between. 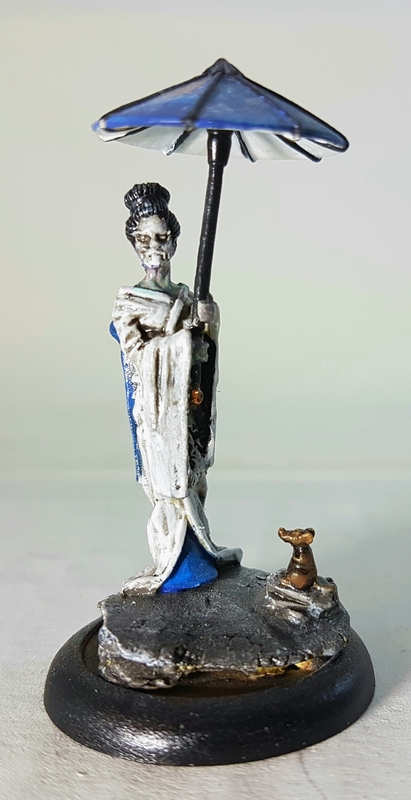 To achieve this I started with a light grey base coat and a few thin layers of Army Painter Skeleton Bone, this kept the general look nice and pale. Over this I then used a layer of heavily watered down purple ink and another of equally heavily watered down green ink (These inks are classic Games-workshop ones, the ones that came in a round pot and had a silver label, remember them? No? Damn I’m old…). The effect was finished with a light highlight / drybrush of the Skeleton Bone again. Other than that I tried to keep the clothes different colours because I dint want to get too much of a uniform look to the group. They’re a bunch of resurrected corpses, bent to the will of an evil madman, not a coherent army with uniforms and close order drill. And as you will see I coated them with several layers of gloss varnish to finish. The reason for this? Metal models chip if you even slightly brush them with a feather. I really don’t want to damage these guys so I’ve sacrificed a bit of aesthetics to keep them safe. Right. 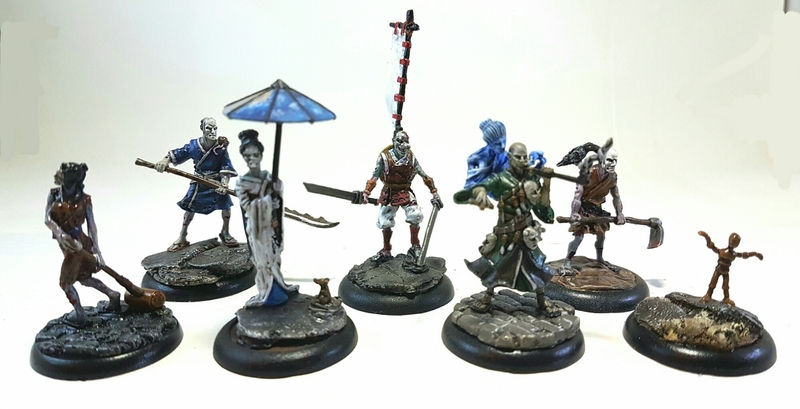 Now that they’re painted I’m going to have to play the bloody game!